This will be the first time the Disney Channel portrays a character's coming out journey. This week will mark a huge milestone for The Disney Channel. The family-friendly kids network will feature its very first "coming out" storyline for a teenage character on one of its programmes. Andi Mack season 2 will see one of the titular character's best friends, Cyrus Goodman (Joshua Rush), go on a journey of self-discovery as he realises he has feelings for another male character on the show. 13-year-old Cyrus will confide in his friends and try to navigate his now complicated relationship with current girlfriend, Iris. While the Disney Channel has featured gay couples in the past (see Good Luck Charlie), this will be the first time a series regular will have a story arc exploring a character's coming out journey. The news has mostly been met with positive and supportive reactions online. #AndiMack having a tween coming to terms with his sexuality on DISNEY CHANNEL makes me so proud. This is going to save so many lives. There is no doubt about it. 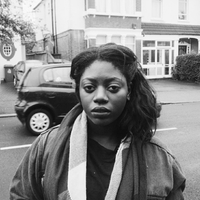 This is hugely groundbreaking, but it will also inject a bit of realism into the channel's portrayal of young people. Early teen years are typically when young people start to discover and define their identities. It is definitely time for that journey to play out on The Disney Channel. Hopefully, this groundbreaking portrayal will give kids some reassurance that their own experiences are valid, too. 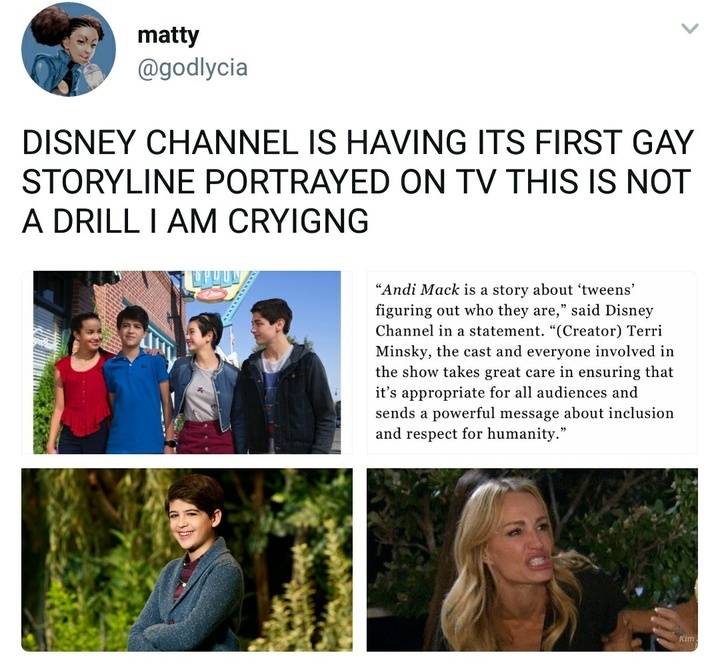 A Disney Channel spokesperson provided a statement to The Hollywood Reporter saying, "Andi Mack is a story about tweens figuring out who they are; Terri Minsky, the cast and everyone involved in the show takes great care in ensuring that it's appropriate for all audiences and sends a powerful message about inclusion and respect for humanity." Season 2 of Andi Mack will premiere on The Disney Channel Friday, October 27.